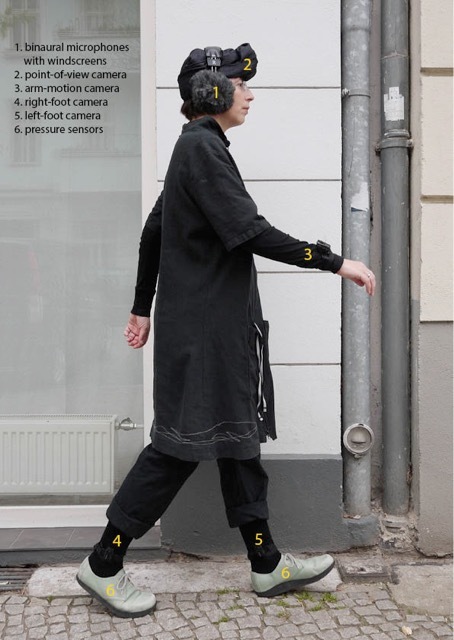 katrinem would like to present on June 13, at the Ableton user group meeting in Berlin, two aspects and methods: Observing a site (Platzstudien – Place Studies), and personally experiencing space while walking (SchuhzuGehör_path of awareness). For more than 15 years now, katrinem has been investigating in her artistic research and art projects the walkability of cities and its associated spatial perception, through her work series go your gait! In the audio-visual works Place Studies walking movements are sonified according to a compositional principle to the pavement pattern of the square. The “players” go their ways, creating audible traces that begin to mix with and against each other. The sine tones used to sonify footsteps distinguish themselves from the familiar stepping sound and direct concentration onto the rhythmic element through their abstract technical simplicity. For example Gendarmenmarkt (https://vimeo.com/55447227) was the first of 24 audiovisual works and compositions. The format SchuhzuGehör_path of awareness explores an individual‘s personal experience of space through walking, particularly the interplay between sound event (footstep) and surrounding architecture, influenced by the permanently changing interactions. For example the audiovisual composition of the path around La Friche in Marseille https://vimeo.com/160306600 or in Tehran https://vimeo.com/184479324 or right now in Berlin https://vimeo.com/263879391. The examination of sound and space has long been an integral part of katrinem’s artistic work. Comprehensive training in classical music (violin/viola) with constant performance practice (orchestra, ensemble) formed the broad early foundation that led to a specialization in spatial performances and new performance practices. Gaits, walking rhythms and their imprints on public space were subject areas already being explored in her master’s degree in composition. In working, exchanging and cooperating with other artists and scientists katrinem seek to expand, reassess and refine her own approach to the topic of walking and listening in urban spaces. 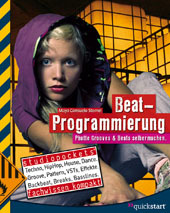 Of particular mention are: Peter Arlt, Sam Auinger, Gernot Böhme, Ellen Flügge, Annea Lockwood, Bruce Odland, Holger Schulz, Penelope Wehrli. Location: Panke, Gerichtstr. 23, Hof V., Berlin, close to S-Bahn Wedding. Dieser Eintrag wurde veröffentlicht in Allgemein, Berlin, News. Lesezeichen auf den Permanentlink.